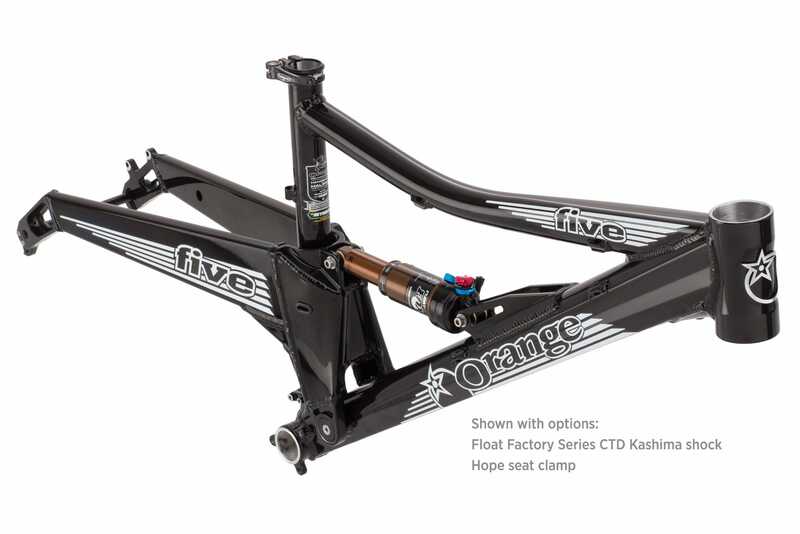 The Five is Orange concentrate; a product of undiluted obsession to utter trail brilliance. This is a bike that does it all, from day-long map-crossing rides to weeks of Alpine descending, all the while putting fun firmly first. As other manufacturers are rushing out Enduro bikes our trail bike takes another step on its evolutionary path, and, as always, we've sweated the details both big and small to keep the Five well ahead of the bermed curve. The Five now rolls on 27.5inch wheels, offering the benefits of increased traction and natural bump taming that bigger wheels bring while at the same time keeping the lively and responsive feel you expect from a Five. 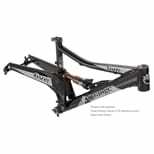 Coupled with 140mm of gimmick-free suspension action this bike takes the fight to the ups and the downs. Our unique blend of monocoque and Reynolds tubing is mated to a 1.5inch headtube saving weight, adding stiffness and allowing for greater fork and headset options so you can make your Five truly yours. At the other end of the frame 142mm slotted hub spacing couples increased rigidity with quicker wheel changes out on the trail. Some things have changed but plenty stays the same; our best-in-class geometry, honed for maximum rider enjoyment, and a proven suspension design that never leaves you wanting, are always at the heart of any Five.